Woven chain is a type of link stitch 3 section sewing book. It has 2 separate sewings using 2 needles for each, creating a beautiful and intricate pattern without being overly complicated. 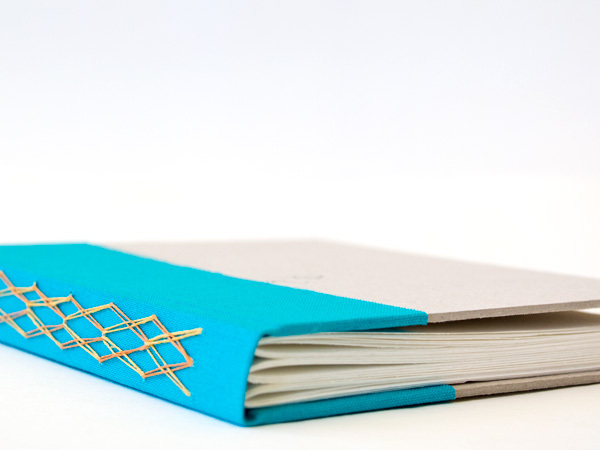 Since it requires 2 needles, there is space for a multi-colour binding. In this class students will learn how to prepare the text block which includes folding paper, punching holes, sewing and cutting. Participants will be shown how to prepare boards for their covers, using glue and decorative paper. Each student will have one-on-one help from the instructor to learn the stitching, leaving with at least 1 sample book with notes to take home and practice further.